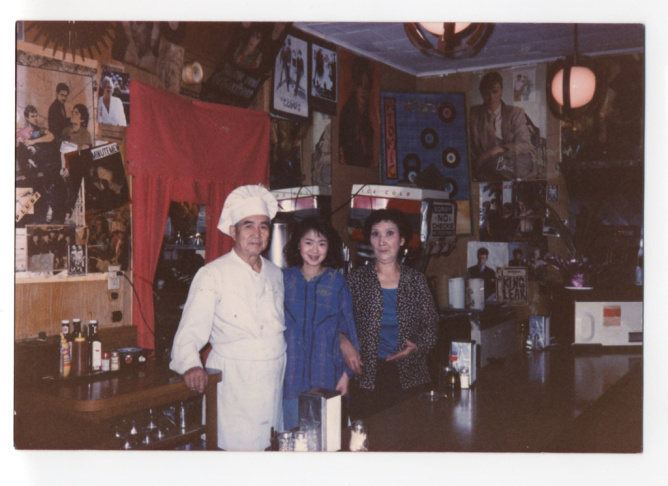 The Matoba family ran the Atomic Cafe since 1946. Nancy Seikizawa ran the Atomic Cafe for her parents during the '70 and '80s and turned it into the place for top punk bands to hang out. 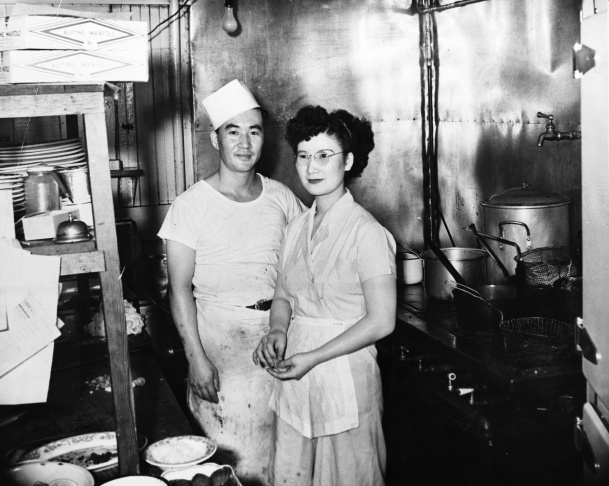 Minoru and Ito Matoba in the original Atomic Cafe kitchen in the 1940’s. 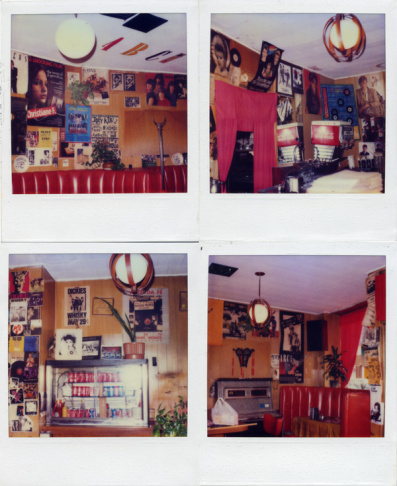 Polaroids from the Atomic Cafe's heyday in lates 1970s and 1980s show walls covered with rock posters, artwork and more. 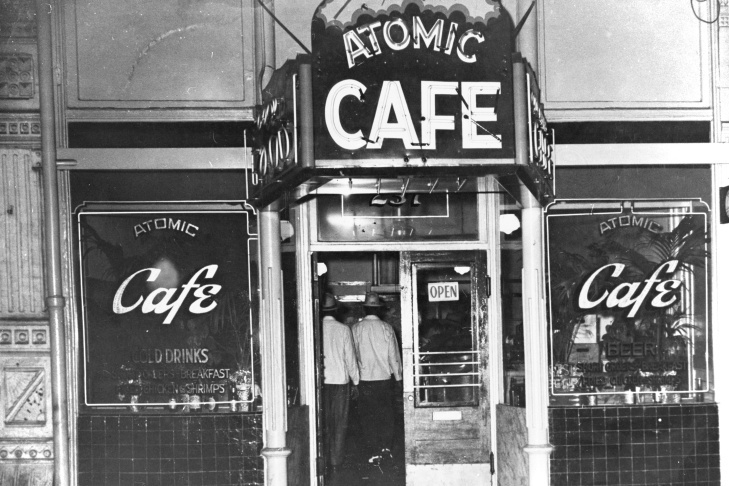 Opened in 1946 in the heart of Little Tokyo, the Atomic Cafe was owned and operated by the Japanese-American Matoba family. For decades, the cafe served chashu ramen, fried rice and other dishes to locals until founders Ito and Minoru Matoba handed the business over to their daughter, Nancy Sekizawa, in the late 1970s. Under "Atomic" Nancy's ownership, the cafe transformed into a new wave and punk haven frequented by the likes of Devo, Blondie, Sid Vicious, X and David Bowie. The business closed in 1989 and the building was razed last year. The space is now an actual hole in the ground, the site of a future Metro station, but the stories of its past remain. 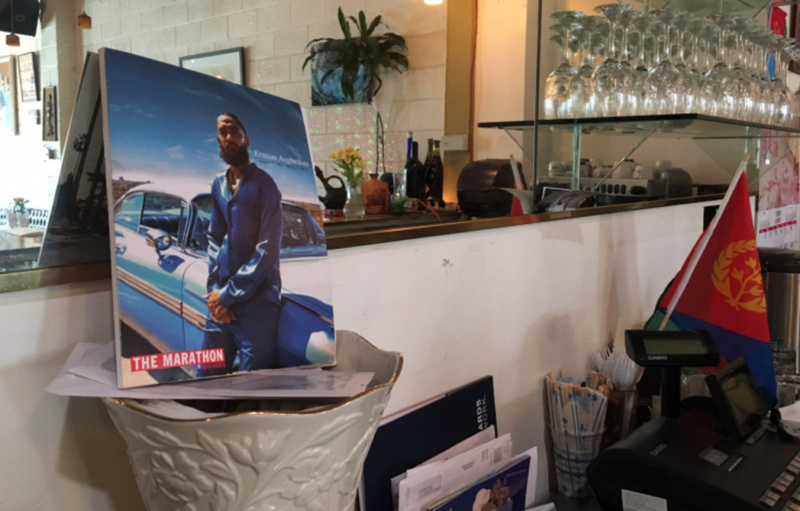 “You could describe the Atomic Cafe as a Japanese-American, weird restaurant where punk people used to hang out — and Japanese gangsters,” said Zen Sekizawa, Nancy's daughter. 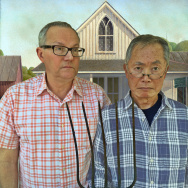 "It was like a place for us: the misfits, the rebels, the undesirables," said Nancy Sekizawa. 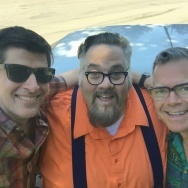 Dublab's Mark "Frosty" McNeill talked with Nancy and Zen about food fights with Sid Vicious, kicking Andy Warhol out and one of the first punk rock jukeboxes in all of Los Angeles. Bonus fact: all of the songs heard in this story came from the Atomic Cafe’s iconic jukebox. 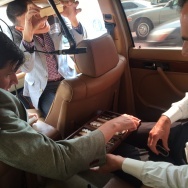 Nancy saved the 45's and still occasionally pulls them out for DJ gigs like this dublab radio show.